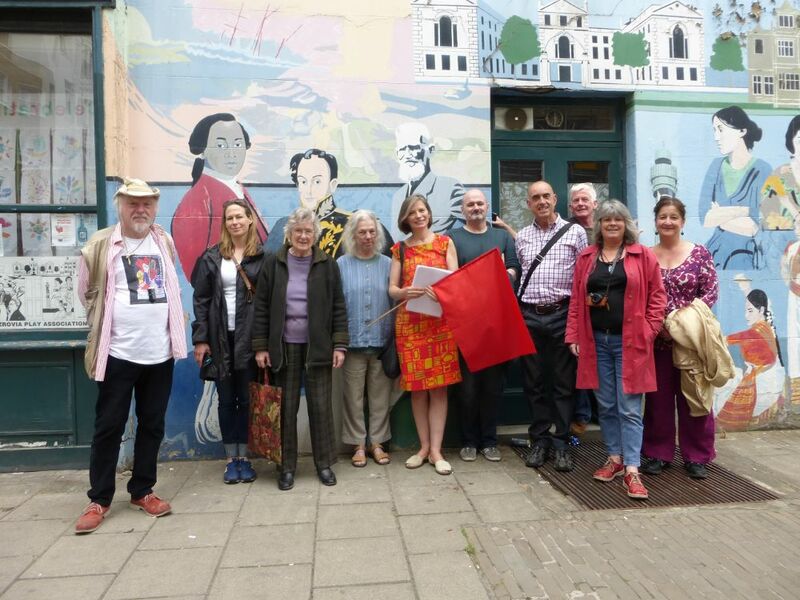 This past month we turned the Fitzrovia Neighbourhood Centre over to a celebration of the life and history of the area with another well-attended Fitzrovia Festival. Some of the many people who attended the Fitzrovia Festival 2015 events. We held exhibitions of community art, organised guided walks and discussed radical politics and the past and future of the neighbourhood. Now its over for another year and we can enjoy the summer. Thanks to everyone who helped and came along. This entry was posted in Uncategorized and tagged Fitzrovia Festival. Bookmark the permalink.